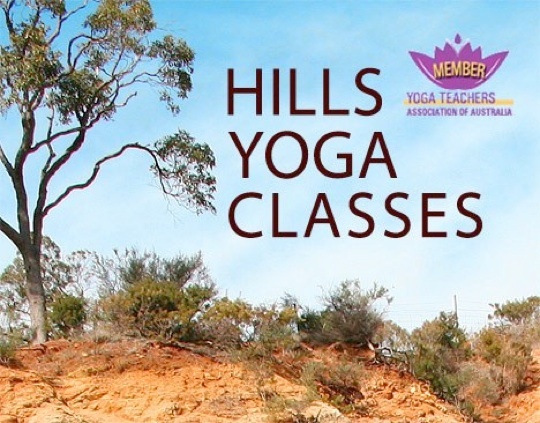 The Hills Yoga classes have been running for 10 years. Classes are adapted to the individuals that come to class, so there is wide range of poses and activities that can be modified to suit from beginner to advance student. Pregnant women are welcome to attend the general classes. I did yoga through both my pregnancies and found it highly beneficial. The classes provide a supportive environment to practice the yoga postures asana, practice visualisation and meditation techniques. The individual needs of the students are considered with props and the necessary equipment available. Classes are tailored for all stages of life from when we are very fit and healthy, and for those times we are recovering from injury or with special needs. Come practice yoga with your community as through dedicated yoga practice, one’s physical, mental and emotional potential begins to increase, and unfold. Physically, the body’s systems and organs become healthy, and more efficient. Mentally, the brain becomes more alert, clear and quick to respond. Emotionally, one becomes more stable, balanced, satisfied with self, and life.